Senator Win Gatchalian is urging the Department of Energy (DOE) to include energy security in its Philippine Energy Plan amid soaring energy prices that have contributed to the country’s nine-year-high inflation rate. 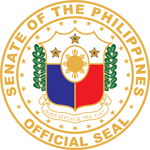 During the recent hearing of the Senate Committee on Energy regarding the country’s energy security, Gatchalian pointed out that the DOE has failed to articulate energy security in its Philippine Energy Plan (PEP) 2017-2044, despite the agency’s mandate to put it at the forefront of its energy direction. In fact, the senator is of the opinion that the Philippines seemed to be going the wrong direction when it comes to energy sufficiency and energy security. “I think it’s really admirable that energy security is at the forefront of the DOE’s energy direction…. However, energy security has never been articulated in the PEP. In fact, there’s no section in the PEP about energy security and energy sufficiency. If you look at the projections, we will not achieve any security, any sufficiency,” Gatchalian, chairman of the committee, said. “Going by the DOE’s strategic direction that energy security is number one, it seems to me that there is inconsistency between the strategic direction and also the projections here in the PEP,” he added. To prove his point, the lawmaker noted the country’s poor performance in the World Economic Council (WEC) Energy Trilemma Index, which ranks the performance of each country based on energy security, energy equity, and environmental sustainability. For 2018, the Philippines ranked 74 out of 125 countries, down from its 70th place ranking in 2017, after garnering “C” ratings for energy security and energy equity, and an “A” rating for environmental sustainability. Out of 22 Asian countries, the country ranked 11th. Meanwhile, data from the DOE shows that the Philippines remains heavily dependent on external sources for its petroleum supplies, importing 94 percent of its oil requirements. The DOE recently reported that the country’s total import bill jumped to $9.89 billion in 2017, a 31.2 percent increase from the $7.54 billion import bill in 2016. The DOE, on the other hand, paints a grim picture for the renewable energy sector as the share of fossil fuels in the country’s energy mix continues to grow. Under the DOE’s Business as Usual Scenario, the share of renewables in the energy mix – including geothermal, biomass, and hydro – is projected to drop to 17 percent in 2040 from 36 percent in 2017. Citing the projections made by the DOE, Gatchalian lamented that the country’s installed renewable energy capacity is only expected to grow at a dismal pace of 1.5 percent over the 24 years, in contrast with the 6.5 percent and 6.7 percent growth rates of installed capacity of oil and coal plants, respectively. “So with these growth figures, I don’t think we will reach any security by 2040 or any sufficiency for 2040… by that alone, it raises a lot of question marks whether we’re putting all our eggs in one basket,” Gatchalian said. With this in mind, Gatchalian said the DOE needs to develop concrete plans to achieve energy self-sufficiency and security from 2018 to 2040, as well as to quantify these policies. “In my view, energy security should be a paramount concern of our nation. I think the reason for that really is to insulate consumers from price volatility. It also has an effect on our economic well-being by importing less,” he added.